(Free Any £60 Spell Included! 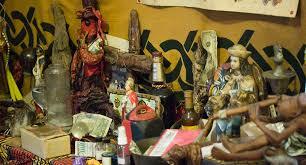 )POWERFUL CUSTOM VOODOO FIVE WISHES *Spell Granting * Ten Times Cast Over 3 Weeks Plus Any Free Service To The Value £60! Plus Free Aura Cleanse. Powerful, intense, custom, detailed black wish granting spell. Any five detailed wishes as long as stick to guidelines etc nothing to physically harm anyone. Cast ten times for a whole 3 weeks, by a me and a experienced coven. A free protection and aura cleanse will be performed along with this.